Earnest Performance, short track racing’s leading shock technology resource, capped off an exciting 2018 season with a win at the 51st annual Snowball Derby. The win at Five Flags Speedway highlights a season that included wins at marquee events and eight points championships. Kyle Busch Motorsports (KBM) driver Noah Gragson took the lead on a late race restart and held off Ty Majeski to win the prestigious Snowball Derby at Pensacola, Florida’s Five Flags Speedway. Gragson’s win headlined the race that saw four of the top five finishers compete with Earnest Performance’s shock technology, service, and advising. Besides having a hand in winning a second-straight Tom Dawson trophy with KBM, Earnest Performance shocks were on the cars of four of the top-five drivers, including third through fifth places drivers Jeff Choquette, Connor Okrzesik, and Casey Roderick. The success Earnest Performance clients had at Snowball Derby was a fitting end to a successful year. 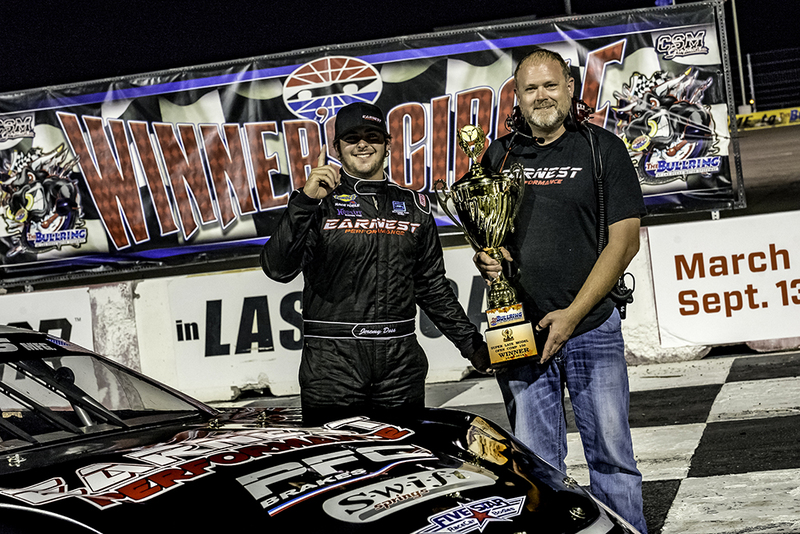 From the start of the 2018 season, Earnest Performance drivers took the checkered flag at marquee Super Late Model events across the country. It started with Kyle Busch winning the Winter Showdown in California and was followed-up by Harrison Burton winning The Rattler at South Alabama Speedway on the final lap. Backed by Earnest Performance, Jeremy Doss won the Montana 200 en route to his first ever Spears SRL title. Preston Peltier went on to win the Summer Showdown, while Bubba Pollard claimed his first Oxford 250 victory and Stephen Nasse won the Mobile 300, all with Earnest Performance shock technology. Earnest Performance drivers also accounted for more than eight series titles in 2018. While Doss claimed the Spears SRL Tour title, Jack Dossey III won the CRA JEGS Tour championship. In addition to its Late Model prowess, Earnest Performance also played an integral role in the on-track success of some of the top Modified racers in the nation in 2018. Justin Bonsignore dominated the NASCAR Whelen Modified Tour, Chuck Hossfeld won the RoC Modified championship, Woody Pitkat won the MRS Modified championship and Jeremy Gerstner earned the Southern Modified Racing Series title with Earnest Performance. The success didn’t stop there, as Earnest Performance customers such as RoC Super Stocks champion Joe Mancuso also earned titles in 2018.